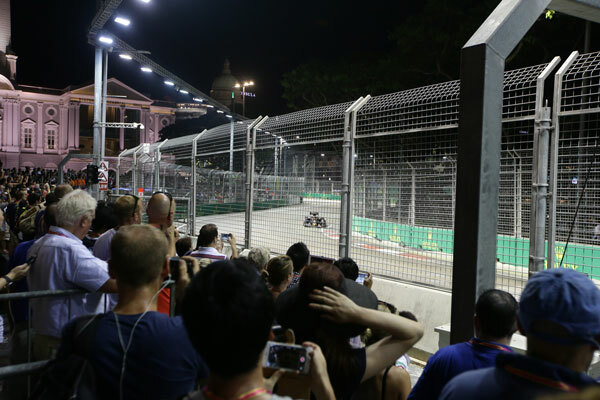 8 May 2017, Singapore - Race organiser Singapore GP Pte Ltd announced today the launch of single-day Zone 4 Walkabout tickets and the addition of a brand new ticket category, the Empress Grandstand, for the 2017 FORMULA 1 SINGAPORE AIRLINES SINGAPORE GRAND PRIX. 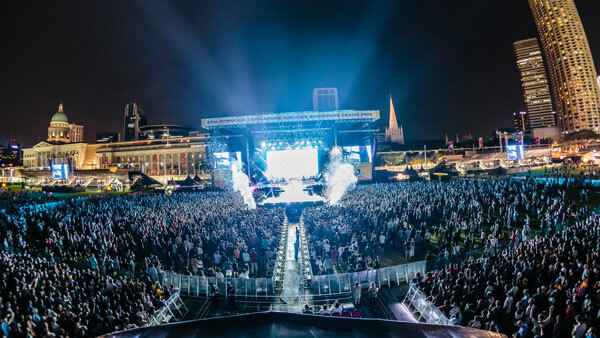 With less than five months to the tenth edition of the night race, the single-day Esplanade Waterfront Grandstand (Sunday) ticket category is already sold out with very limited tickets remaining for single-day Esplanade Waterfront Grandstand (Saturday). Tickets for the Empress Grandstand start at S$508 nett and are available from 9 May (0900 hours, Singapore time). See Annex 1 for full ticket prices. The best sports car racers from the Asia Pacific region are again set to converge on the Marina Bay Street Circuit in September, with Ferrari Challenge Asia Pacific and Porsche Carrera Cup Asia confirmed as official support races for the 2017 Formula 1 Singapore Airlines Singapore Grand Prix. This year's Ferrari Challenge Asia Pacific will feature the new 488 Challenge car - the sixth model to participate and the most powerful Challenge ever - as the first turbocharged model to race. The one-make series, which celebrates its 25th anniversary in 2017, will see over 30 drivers from around the world including Singapore's very own Gregory Teo - who finished eighth place in 2016 - competing in the 661bhp 3.9-litre V8 car. Back for it's tenth year at the Marina Bay Street Circuit and one of the most popular racing championships in the region, the Porsche Carrera Cup Asia will see some of the best drivers race in the ever-electrifying Porsche 911 GT3 Cup car. Featuring single-seater, near standard racecars with 3.8-litre six-cylinder boxer engines, the Porsche 911 GT3 Cup cars put out a maximum 460bhp at 7500rpm for serious performance. Singapore will see three drivers, Yuey Tan, Andrew Tang and Ringo Chong, representing the city-state in this one-make series. Offering ticketholders great value for money, a Zone 4 Walkabout ticket allows patrons to catch the Formula 1™ race action and two support races (Ferrari Challenge Asia Pacific and Porsche Carrera Cup Asia) from strategically located bleachers, as well as access the Padang Stage concerts (Ariana Grande, Duran Duran, Lianne La Havas, George The Poet, OneRepublic and The Chainsmokers) for the day. The regular ticketing phase kicks off tomorrow, 9 May (0900 hours, Singapore time), with savings of up to 16% for purchases of four or more tickets for selected ticket categories under the Group Booking Specials. Tickets to the 2017 FORMULA 1 SINGAPORE AIRLINES SINGAPORE GRAND PRIX can be purchased at www.singaporegp.sg, via the ticketing hotline +65 6738 6738 as well as all SISTIC outlets in Singapore.